For specific questions about this report, please contact Sheryl Satorre in care of info@techtalks.ph. The Cebu City Startup Ecosystem Canvas was patterned after the canvas from Founder's Institute. If you would like to download the template or worksheet, see all guidelines, and view examples , go to http://fi.co/canvas. I'm Sheryl B. Satorre, an I.T. professor at the University of Cebu. I am sharing with you a couple of documents generated from my PhD Thesis entitled "Technology Startup Ecosystem in Cebu City, Philippines", wherein Tina Amper, founder of TechTalks.ph, served as one of my advisors, along with Dr. Cecilio S. Baga. In partnership with TechTalks.ph, we are sharing the documents to the public for the purpose of growing our ecosystem and hopefully attracting more support players in the tech startup community. If you are a startup or tech/startup advocate, please review the startup canvas below. If you think you want your company or name be added to the list, please enter your information and justification HERE. Our team will review and get back to you with results as soon as possible. The Startup Ecosystem Canvas was created to make the city's startup ecosystem more transparent and inviting to newcomers. Since the information is open to the public, then anyone who wants to establish a startup or business in the Philippines, or connect with the tech startup community will have an easier time doing so. In essence, we are trying to help shorten the sales or business cycle in our small way. We ask everyone to adhere to the values of integrity, quality, and reliability -- in listing yourself and using the information. We adhere to the globally accepted startup value of #GiveToGet. We cannot update this sheet on our own so we appreciate everyone's support to do so and give back to the community in whatever manner they can. If you are a startup based in the Philippines and want to be listed on startupPH.org, please click HERE. 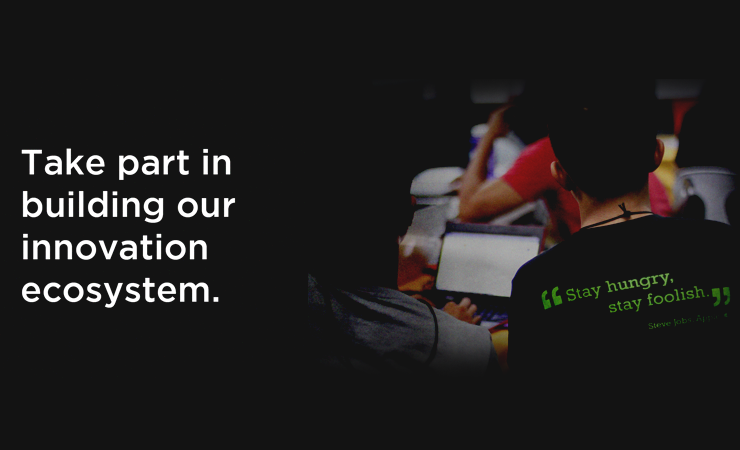 StartupPH.org is a newly-formed umbrella organization of startup advocates in the Philippines (private industry, non-profits, and government). Listing yourself on startupPH.org will give your startup additional visibility to the public and faster notification of future programs for tech startups.